Please note: UBX14 in no longer available and has been replaced. 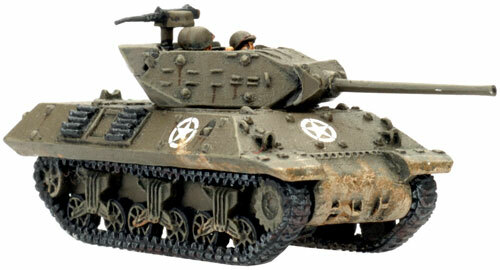 The 3" GMC M10 Tank Destroyer was based on the medium tank M4A2 (diesel) and was armed with the 3” anti-tank gun. The turret only had a partial roof over its front third (on occasion in the field crews would add their own). 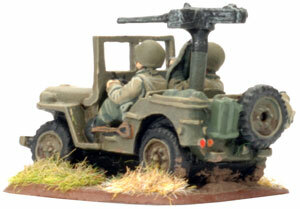 The open top was to allow better visibility and easier servicing of the weapon, but at an obvious cost to protection. 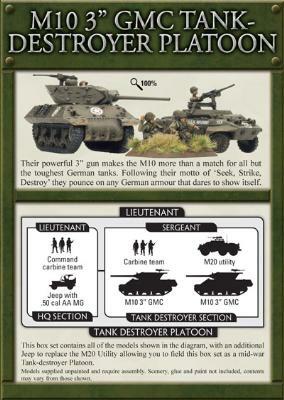 The hull and turret on the M10 both took advantage of sloped armour. 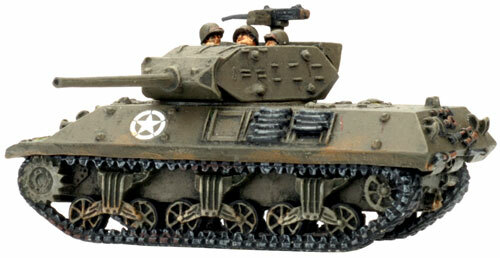 The turret of the M10 was five-sided, including the gun shield in front. Two triangular counterweights added to the rear of the turret to balance the heavy 3" gun at the front. This greatly eased turret traverse. The Tank Destroyer Force of WWII was organized into Groups, Brigades and Battalions. 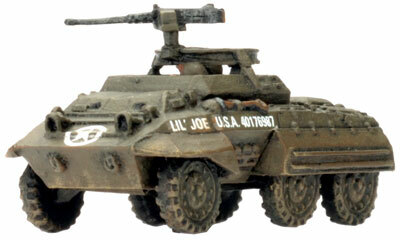 Each battalion was composed of 36 Tank Destroyers. 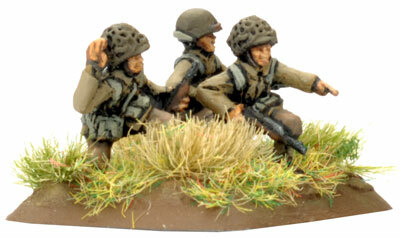 A total of 70 battalions were deployed overseas. 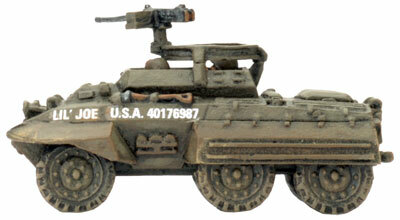 The M10 first saw action in Tunisia with the one Battalion serving during the campaign. The M3 Tank Destroyers were quickly removed from service after Tunisia and all SP Tank Destroyer Battalions serving in Sicily had had their vehicles replaced by the M10. 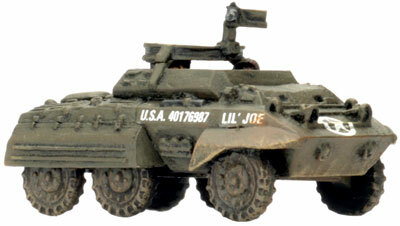 Each Infantry and Armored Division was issued with one Tank Destroyer Battalion. 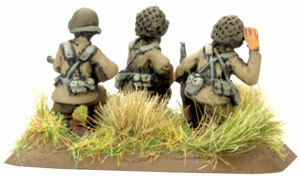 They continued to see service in Italy and Normandy. Self-propelled Anti-tank and Tank Destroyer Platoons use the Tank Destroyer special rules on page 157 of Flames Of War to reflect their stealthy tactics. These utilise the Cautious Movement (page 41) and Disengage (pages 127 to 131) rules. 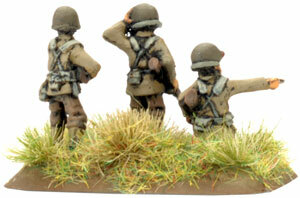 These platoons count a Reconnaissance Platoons for the purposes of these rules. 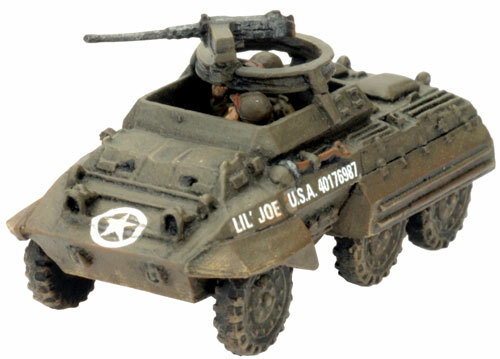 In addition, since the tank destroyers select their firing position with retreat in mind, Tanks Destroyer and Self-propelled Anti-tank Platoons may Disengage even if they fired in their own turn. 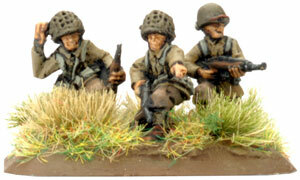 • Within 6”/15cm of any Carbine team from the platoon (whether mounted in its transport or not). 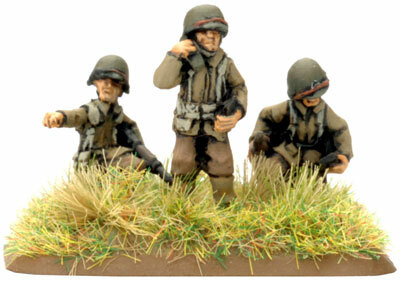 Tank destroyers placed on the table in this way can move and fight as normal during the turn they appear. 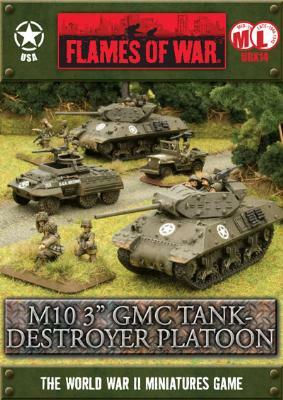 The new box comes with one section of two M10 Tank Destroyers, with a Platoon Command Carbine team and a Carbine team. 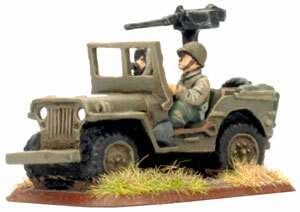 The box includes a Jeep for the Platoon command and a M20 utility for the Tank Destroyer section. 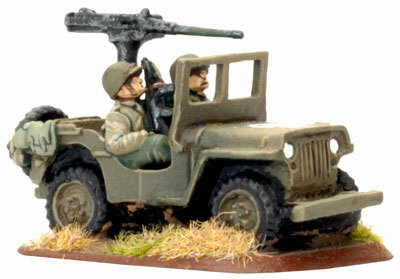 An additional Jeep is also included for the mid war Self-propelled Anti-tank Platoon form Afrika where it would replace the M20 in the section. 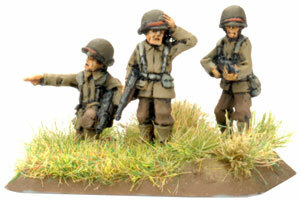 To field a full-strength platoon simply add another UBX14 box to the platoon.